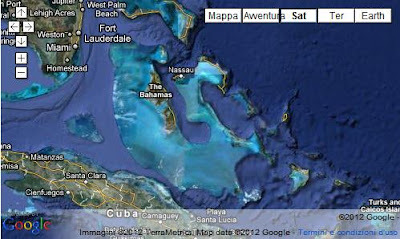 The Bahamas is a nation consisting of more than 3,000 islands, cays, and islets. It is located in the Atlantic Ocean north of Cuba and Hispaniola (Dominican Republic and Haiti), northwest of the Turks and Caicos Islands, and southeast of the United States (nearest to the state of Florida). Its land area is 13,939 km2 (5,382 sq mi), with a population of 353,658. Its capital is Nassau. Geographically, The Bahamas lie in the same island chain as Cuba, Hispaniola and the Turks and Caicos Islands; the designation of Bahamas refers normally to the Commonwealth and not the geographic chain. Originally inhabited by the Lucayans, a branch of the Arawakan-speaking Taino people, the Bahamas were the site of Columbus’ first landfall in the New World in 1492. Although the Spanish never colonized the Bahamas, they shipped the native Lucayans to slavery in Hispaniola. The islands were mostly deserted from 1513 to 1648, when English colonists from Bermuda settled on the island of Eleuthera. The Bahamas became a Crown Colony in 1718 when the British clamped down on piracy. After the American War of Independence, thousands of pro-British loyalists and enslaved Africans moved to the Bahamas and set up a plantation economy. The slave trade was abolished in the British Empire in 1807 and many Africans liberated from slave ships by the Royal Navy were settled in the Bahamas during the 19th century. Slavery itself was abolished in 1834 and the descendants form the majority of the Bahamas’s population today. Bahamas round trip for I2VGW. 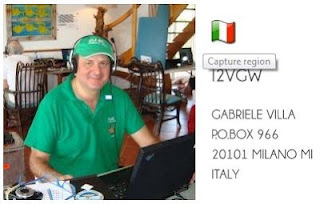 I already have in my hands a one year licence and callsign, so I plan to be operating as C6AGW starting April 26th through May 6th from New Providence main island (NA 001), Bimini islands, (NA048) and Berry islands (NA054) two quite rare and claimed Iota references. And, what’s more, before come back to Italy, from Long island (NA-001). So, copy and listen carefully for the reference and location. Please keep in mind that, this time, it will be a very holiday style operation (with my first mate and supporter, my wife Roberta). 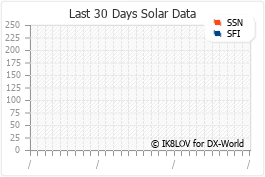 In any case, as usual, I will give great emphasis to digital modes and Warc bands but SSB too. To receive the C6AGW QSL-card via direct is required an appropriate SASE or SASE+IRC or SAE+$ (USD) for direct mail return. € 2,00 for 20 gr. letter to Oceania & South America. QSLs without an appropriate contribution will be answered via bureau. If you send your QSL via direct, please don’t send also via bureau and vice versa. Hope to contact you on air!